EPA 32 MPG Hwy/24 MPG City! Moonroof, Heated Seats, Bluetooth, Multi-CD Changer, Brake Actuated Limited Slip Differential, iPod/MP3 Input, Turbo Charged Engine, Aluminum Wheels, Satellite Radio, Premium Sound System CLICK NOW! VOLKSWAGEN JETTA: UNMATCHED RELIABILITY 4 Star Driver Front Crash Rating. 5 Star Driver Side Crash Rating. KEY FEATURES ON THIS JETTA INCLUDE Sunroof, Heated Driver Seat, Turbocharged, Premium Sound System, Satellite Radio, iPod/MP3 Input, Bluetooth, Multi-CD Changer, Aluminum Wheels, Brake Actuated Limited Slip Differential, Heated Seats MP3 Player, Keyless Entry, Remote Trunk Release, Child Safety Locks, Heated Mirrors. BEST IN CLASS: VOLKSWAGEN JETTA According to Consumer Guide, the Jetta's interior is among the best in class. Jetta's high quality interior has many soft-touch surfaces and pleasing-looking plastics. Great Gas Mileage: 32 MPG Hwy. WHY BUY FROM US Lithia is one of America's largest automotive retailers. We are focused on providing customers with an honest and simpler buying and service experience. We are giving customers straightforward information so that they can make confident decisions. We believe that our local communities are our lifeblood. In addition to the employment opportunities we provide in each of our neighborhoods, we also provide contributions to charitable organizations that serve our families, friends, and customers. Plus tax, title, license and $180 dealer documentary service fee. Price contains all applicable dealer offers and non-limited factory offers. You may qualify for additional offers; see dealer for details. PRICE DROP FROM $7,687, FUEL EFFICIENT 31 MPG Hwy/22 MPG City! 2.0T trim. IIHS Top Safety Pick, CD Player, Brake Actuated Limited Slip Differential, Aluminum Wheels, Turbo Charged. 4 Star Driver Front Crash Rating. CLICK NOW! VOLKSWAGEN PASSAT: UNMATCHED DEPENDABILITY 4 Star Driver Front Crash Rating. 5 Star Driver Side Crash Rating. NOW IS THE TIME TO DRIVE THIS PASSAT Love your vehicle and its price. Was $7,687. KEY FEATURES ON THIS PASSAT INCLUDE KEY FEATURES ON THIS PASSAT INCLUDE: Turbocharged, CD Player, Aluminum Wheels, Brake Actuated Limited Slip Differential MP3 Player, Keyless Entry, Remote Trunk Release, Child Safety Locks, Heated Mirrors. VOLKSWAGEN PASSAT IS BEST IN CLASS The Passat is class-leading in standard features. Get treated with multi-adjustable driver power seats, heated front seats, and front power lumbar support. Features not standard on the Honda Accord, Mazda6 and Ford Fusion. IIHS Top Safety Pick. Great Gas Mileage: 31 MPG Hwy. VISIT US TODAY Lithia is one of America's largest automotive retailers. We are focused on providing customers with an honest and simpler buying and service experience. We are giving customers straightforward information so that they can make confident decisions. We believe that our local communities are our lifeblood. In addition to the employment opportunities we provide in each of our neighborhoods, we also provide contributions to charitable organizations that serve our families, friends, and customers. Plus tax, title, license and $180 dealer documentary service fee. Price contains all applicable dealer offers and non-limited factory offers. You may qualify for additional offers; see dealer for details. FUEL EFFICIENT 31 MPG Hwy/22 MPG City! R-Line trim. Heated Seats, Bluetooth, CD Player, Brake Actuated Limited Slip Differential, iPod/MP3 Input, Alloy Wheels, CHROME EXHAUST TIPS, Satellite Radio, Turbo. SEE MORE! KEY FEATURES ON THIS VOLKSWAGEN CC MP3 Player, Remote Trunk Release, Keyless Entry, Steering Wheel Controls, Child Safety Locks. Volkswagen R-Line with LIGHT BROWN METALLIC exterior and BLACK V-TEX interior features a 4 Cylinder Engine with 200 HP at 5100 RPM*. VOLKSWAGEN CC IS BEST IN CLASS The CC has plenty of space with it's standard Second Row Folding Seats. Features not available on the Acura TSX, Nissan Maxima, and Lexus IS 250. Great Gas Mileage: 31 MPG Hwy. 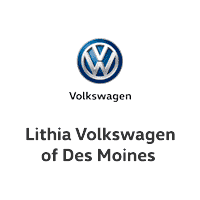 BUY FROM AN AWARD WINNING DEALER Lithia is one of America's largest automotive retailers. We are focused on providing customers with an honest and simpler buying and service experience. We are giving customers straightforward information so that they can make confident decisions. We believe that our local communities are our lifeblood. In addition to the employment opportunities we provide in each of our neighborhoods, we also provide contributions to charitable organizations that serve our families, friends, and customers. Plus tax, title, license and $180 dealer documentary service fee. Price contains all applicable dealer offers and non-limited factory offers. You may qualify for additional offers; see dealer for details. SE trim. 3rd Row Seat, Heated Seats, Multi-CD Changer, Dual Zone A/C, Power Fourth Passenger Door, Bluetooth, Quad Seats, Alloy Wheels, iPod/MP3 Input, Rear Air. 5 Star Driver Front Crash Rating. SEE MORE! KEY FEATURES INCLUDE Third Row Seat, Quad Bucket Seats, Rear Air, Heated Driver Seat, iPod/MP3 Input, Bluetooth, Multi-CD Changer, Aluminum Wheels, Dual Zone A/C, Power Fourth Passenger Door, Heated Seats. MP3 Player, Keyless Entry, Steering Wheel Controls, Child Safety Locks. EXPERTS ARE SAYING Edmunds.com's review says The 2010 Volkswagen Routan is an improvement over the Chrysler minivans it's based on.. 5 Star Driver Front Crash Rating. 5 Star Driver Side Crash Rating. BUY FROM AN AWARD WINNING DEALER Lithia is one of America's largest automotive retailers. We are focused on providing customers with an honest and simpler buying and service experience. We are giving customers straightforward information so that they can make confident decisions. We believe that our local communities are our lifeblood. In addition to the employment opportunities we provide in each of our neighborhoods, we also provide contributions to charitable organizations that serve our families, friends, and customers. Plus tax, title, license and $180 dealer documentary service fee. Price contains all applicable dealer offers and non-limited factory offers. You may qualify for additional offers; see dealer for details. S trim. CARFAX 1-Owner, GREAT MILES 52,877! FUEL EFFICIENT 25 MPG Hwy/17 MPG City! 3rd Row Seat, CD Player, Dual Zone A/C, iPod/MP3 Input, Captains Chairs, Rear Air. SEE MORE! KEY FEATURES INCLUDE Third Row Seat, Quad Bucket Seats, Rear Air, iPod/MP3 Input, CD Player, Dual Zone A/C. MP3 Player, Keyless Entry, Privacy Glass, Steering Wheel Controls, Heated Mirrors. EXPERTS ARE SAYING Edmunds.com explains Powerful engine; comfortable seats; slightly nicer cabin than Chrysler siblings.. Great Gas Mileage: 25 MPG Hwy. WHO WE ARE Lithia is one of America's largest automotive retailers. We are focused on providing customers with an honest and simpler buying and service experience. We are giving customers straightforward information so that they can make confident decisions. We believe that our local communities are our lifeblood. In addition to the employment opportunities we provide in each of our neighborhoods, we also provide contributions to charitable organizations that serve our families, friends, and customers. Plus tax, title, license and $180 dealer documentary service fee. Price contains all applicable dealer offers and non-limited factory offers. You may qualify for additional offers; see dealer for details. EPA 37 MPG Hwy/25 MPG City! Heated Seats, Moonroof, Onboard Communications System, Multi-CD Changer, Smart Device Integration, Keyless Start, iPod/MP3 Input, Aluminum Wheels, ROADSIDE ASSISTANCE KIT, Turbo Charged. READ MORE! KEY FEATURES INCLUDE Sunroof, Heated Driver Seat, Back-Up Camera, Turbocharged, Satellite Radio, iPod/MP3 Input, Multi-CD Changer, Onboard Communications System, Aluminum Wheels, Keyless Start, Smart Device Integration, Heated Seats MP3 Player, Keyless Entry, Steering Wheel Controls, Child Safety Locks, Heated Mirrors. OPTION PACKAGES ROADSIDE ASSISTANCE KIT booster cables, warning triangle, LED flashlight, multi-tool, work gloves, PVC tape, blanket, poncho, whistle, cable ties and bandages. Volkswagen 1.8T SE w/Connectivity with BLACK exterior and BLACK LEATHERETTE interior features a 4 Cylinder Engine with 170 HP at 4800 RPM*. EXPERTS ARE SAYING The backseat dwarfs just about every other one in the compact hatchback or sedan class. The Jetta's 15.7-cubic-foot trunk capacity is one of the best in the segment, too. -Edmunds.com. Great Gas Mileage: 37 MPG Hwy. WHO WE ARE Lithia is one of America's largest automotive retailers. We are focused on providing customers with an honest and simpler buying and service experience. We are giving customers straightforward information so that they can make confident decisions. We believe that our local communities are our lifeblood. In addition to the employment opportunities we provide in each of our neighborhoods, we also provide contributions to charitable organizations that serve our families, friends, and customers. Plus tax, title, license and $180 dealer documentary service fee. Price contains all applicable dealer offers and non-limited factory offers. You may qualify for additional offers; see dealer for details. CARFAX 1-Owner, LOW MILES - 39,923! JUST REPRICED FROM $13,578, EPA 42 MPG Hwy/30 MPG City! Heated Seats, Bluetooth, iPod/MP3 Input, Brake Actuated Limited Slip Differential, CD Player, Aluminum Wheels, TDI APPEARANCE PKG READ MORE! THIS VOLKSWAGEN JETTA COMES EQUIPPED WITH PREMIUM FEATURES TDI APPEARANCE PKG (4) rubber mats, trunk liner, lip spoiler OWN THIS JETTA WITH CONFIDENCE CARFAX 1-Owner. Qualifies for CARFAX Buyback Guarantee. THE PERFECT TIME TO BUY THIS JETTA Love your vehicle and its price. Was $13,578. KEY FEATURES ON THIS VOLKSWAGEN JETTA INCLUDE Heated Driver Seat, Turbocharged, Diesel, Satellite Radio, iPod/MP3 Input, Bluetooth, CD Player, Aluminum Wheels, Brake Actuated Limited Slip Differential, Heated Seats MP3 Player, Keyless Entry, Steering Wheel Controls, Child Safety Locks, Heated Mirrors. Volkswagen TDI with TOFFEE BROWN METALLIC exterior and BEIGE V-TEX interior features a 4 Cylinder Engine with 140 HP at 4000 RPM*. VOLKSWAGEN JETTA: BEST IN CLASS Headroom and legroom are very good, almost to the level of many midsize sedans. The seats are long-haul comfortable. High-set seats contribute to fine all-around visibility. -- Consumer Guide. Great Gas Mileage: 42 MPG Hwy. WHO WE ARE Lithia is one of America's largest automotive retailers. We are focused on providing customers with an honest and simpler buying and service experience. We are giving customers straightforward information so that they can make confident decisions. We believe that our local communities are our lifeblood. In addition to the employment opportunities we provide in each of our neighborhoods, we also provide contributions to charitable organizations that serve our families, friends, and customers. Plus tax, title, license and $180 dealer documentary service fee. Price contains all applicable dealer offers and non-limited factory offers. You may qualify for additional offers; see dealer for details. REDUCED FROM $12,687!, FUEL EFFICIENT 42 MPG Hwy/30 MPG City! CARFAX 1-Owner, ONLY 50,883 Miles! Heated Seats, Bluetooth, iPod/MP3 Input, Brake Actuated Limited Slip Differential, CD Player, Aluminum Wheels, ALARM KIT CLICK ME! KEY FEATURES INCLUDE Heated Driver Seat, Turbocharged, Diesel, Satellite Radio, iPod/MP3 Input, Bluetooth, CD Player, Aluminum Wheels, Brake Actuated Limited Slip Differential, Heated Seats. MP3 Player, Remote Trunk Release, Keyless Entry, Steering Wheel Controls, Electronic Stability Control. OPTION PACKAGES ALARM KIT. Volkswagen TDI with CANDY WHITE exterior and BEIGE V-TEX interior features a 4 Cylinder Engine with 140 HP at 4000 RPM*. EXPERTS REPORT Despite prices that compete head-on with rivals from the U.S. Japan and Korea, the 2013 Jetta exudes the build quality and dynamic handling associated with a European car. -KBB.com. Great Gas Mileage: 42 MPG Hwy. EXCELLENT VALUE Was $12,687. BUY FROM AN AWARD WINNING DEALER Lithia is one of America's largest automotive retailers. We are focused on providing customers with an honest and simpler buying and service experience. We are giving customers straightforward information so that they can make confident decisions. We believe that our local communities are our lifeblood. In addition to the employment opportunities we provide in each of our neighborhoods, we also provide contributions to charitable organizations that serve our families, friends, and customers. Plus tax, title, license and $180 dealer documentary service fee. Price contains all applicable dealer offers and non-limited factory offers. You may qualify for additional offers; see dealer for details. CARFAX 1-Owner, GREAT MILES 26,549! PRICE DROP FROM $13,443, FUEL EFFICIENT 42 MPG Hwy/30 MPG City! Heated Seats, Bluetooth, CD Player, Brake Actuated Limited Slip Differential, iPod/MP3 Input, Turbo, Alloy Wheels, Diesel CLICK NOW! VOLKSWAGEN JETTA: UNMATCHED QUALITY CARFAX 1-Owner. Qualifies for CARFAX Buyback Guarantee. THE IDEAL TIME TO BUY THIS JETTA Love your vehicle and its price. Reduced from $13,443. KEY FEATURES ON THIS VOLKSWAGEN JETTA INCLUDE Heated Driver Seat, Turbocharged, Diesel, Satellite Radio, iPod/MP3 Input, Bluetooth, CD Player, Aluminum Wheels, Brake Actuated Limited Slip Differential, Heated Seats MP3 Player, Keyless Entry, Steering Wheel Controls, Child Safety Locks, Electronic Stability Control. VOLKSWAGEN JETTA IS BEST IN CLASS Headroom and legroom are very good, almost to the level of many midsize sedans. The seats are long-haul comfortable. High-set seats contribute to fine all-around visibility. -- Consumer Guide. Great Gas Mileage: 42 MPG Hwy. WHO WE ARE Lithia is one of America's largest automotive retailers. We are focused on providing customers with an honest and simpler buying and service experience. We are giving customers straightforward information so that they can make confident decisions. We believe that our local communities are our lifeblood. In addition to the employment opportunities we provide in each of our neighborhoods, we also provide contributions to charitable organizations that serve our families, friends, and customers. Plus tax, title, license and $180 dealer documentary service fee. Price contains all applicable dealer offers and non-limited factory offers. You may qualify for additional offers; see dealer for details. CARFAX 1-Owner, LOW MILES - 47,168! EPA 42 MPG Hwy/30 MPG City! Sunroof, Heated Seats, Bluetooth, iPod/MP3 Input, Brake Actuated Limited Slip Differential, Multi-CD Changer, Turbo Charged, Alloy Wheels, Diesel, Satellite Radio READ MORE! KEY FEATURES INCLUDE Sunroof, Heated Driver Seat, Turbocharged, Diesel, Premium Sound System, Satellite Radio, iPod/MP3 Input, Bluetooth, Multi-CD Changer, Aluminum Wheels, Brake Actuated Limited Slip Differential, Heated Seats. MP3 Player, Remote Trunk Release, Keyless Entry, Steering Wheel Controls, Heated Mirrors. EXPERTS RAVE For its latest redesign, the Jetta TDI grew larger but kept its sweet turbo-diesel engine. -CarAndDriver.com. Great Gas Mileage: 42 MPG Hwy. SHOP WITH CONFIDENCE CARFAX 1-Owner OUR OFFERINGS Lithia is one of America's largest automotive retailers. We are focused on providing customers with an honest and simpler buying and service experience. We are giving customers straightforward information so that they can make confident decisions. We believe that our local communities are our lifeblood. In addition to the employment opportunities we provide in each of our neighborhoods, we also provide contributions to charitable organizations that serve our families, friends, and customers. Plus tax, title, license and $180 dealer documentary service fee. Price contains all applicable dealer offers and non-limited factory offers. You may qualify for additional offers; see dealer for details. CARFAX 1-Owner, GREAT MILES 38,809! EPA 42 MPG Hwy/30 MPG City! Heated Seats, CD Player, Onboard Communications System, Smart Device Integration, iPod/MP3 Input, Turbo Charged Engine, Aluminum Wheels, Satellite Radio, Diesel CLICK ME! KEY FEATURES INCLUDE Heated Driver Seat, Turbocharged, Diesel, Satellite Radio, iPod/MP3 Input, CD Player, Onboard Communications System, Aluminum Wheels, Smart Device Integration, Heated Seats MP3 Player, Keyless Entry, Steering Wheel Controls, Child Safety Locks, Electronic Stability Control. VEHICLE REVIEWS The backseat is large enough for full-size adults to ride in comfort, which cannot be said of the Focus, for example, and the 15.5-cubic-foot trunk is one of the roomiest you'll find in this class. -Edmunds.com. Great Gas Mileage: 42 MPG Hwy. BUY WITH CONFIDENCE CARFAX 1-Owner OUR OFFERINGS Lithia is one of America's largest automotive retailers. We are focused on providing customers with an honest and simpler buying and service experience. We are giving customers straightforward information so that they can make confident decisions. We believe that our local communities are our lifeblood. In addition to the employment opportunities we provide in each of our neighborhoods, we also provide contributions to charitable organizations that serve our families, friends, and customers. Plus tax, title, license and $180 dealer documentary service fee. Price contains all applicable dealer offers and non-limited factory offers. You may qualify for additional offers; see dealer for details. CARFAX 1-Owner, GREAT MILES 31,562! FUEL EFFICIENT 42 MPG Hwy/30 MPG City! Heated Seats, Sunroof, Bluetooth, iPod/MP3 Input, Brake Actuated Limited Slip Differential, Multi-CD Changer, Turbo, Alloy Wheels, Diesel. READ MORE! KEY FEATURES INCLUDE Sunroof, Heated Driver Seat, Turbocharged, Diesel, Premium Sound System, Satellite Radio, iPod/MP3 Input, Bluetooth, Multi-CD Changer, Aluminum Wheels, Brake Actuated Limited Slip Differential, Heated Seats MP3 Player, Remote Trunk Release, Keyless Entry, Steering Wheel Controls, Heated Mirrors. EXPERTS RAVE KBB.com explains Despite prices that compete head-on with rivals from the U.S. Japan and Korea, the 2013 Jetta exudes the build quality and dynamic handling associated with a European car.. Great Gas Mileage: 42 MPG Hwy. SHOP WITH CONFIDENCE CARFAX 1-Owner OUR OFFERINGS Lithia is one of America's largest automotive retailers. We are focused on providing customers with an honest and simpler buying and service experience. We are giving customers straightforward information so that they can make confident decisions. We believe that our local communities are our lifeblood. In addition to the employment opportunities we provide in each of our neighborhoods, we also provide contributions to charitable organizations that serve our families, friends, and customers. Plus tax, title, license and $180 dealer documentary service fee. Price contains all applicable dealer offers and non-limited factory offers. You may qualify for additional offers; see dealer for details. CARFAX 1-Owner, ONLY 30,356 Miles! TDI trim. EPA 39 MPG Hwy/29 MPG City! Heated Seats, Bluetooth, iPod/MP3 Input, Brake Actuated Limited Slip Differential, Multi-CD Changer, Turbo Charged Engine, Aluminum Wheels, Diesel. CLICK NOW! KEY FEATURES INCLUDE Heated Driver Seat, Turbocharged, Diesel, Premium Sound System, Satellite Radio, iPod/MP3 Input, Bluetooth, Multi-CD Changer, Aluminum Wheels, Brake Actuated Limited Slip Differential, Heated Seats. MP3 Player, Keyless Entry, Child Safety Locks, Electronic Stability Control, Heated Mirrors. EXPERTS CONCLUDE The wagon has a first-rate interior, a sophisticated rear suspension, and rear disc brakes. -CarAndDriver.com. Great Gas Mileage: 39 MPG Hwy. PURCHASE WITH CONFIDENCE CARFAX 1-Owner WHO WE ARE Lithia is one of America's largest automotive retailers. We are focused on providing customers with an honest and simpler buying and service experience. We are giving customers straightforward information so that they can make confident decisions. We believe that our local communities are our lifeblood. In addition to the employment opportunities we provide in each of our neighborhoods, we also provide contributions to charitable organizations that serve our families, friends, and customers. Plus tax, title, license and $180 dealer documentary service fee. Price contains all applicable dealer offers and non-limited factory offers. You may qualify for additional offers; see dealer for details. CARFAX 1-Owner, ONLY 49,906 Miles! FUEL EFFICIENT 42 MPG Hwy/30 MPG City! Heated Seats, Moonroof, iPod/MP3 Input, Satellite Radio, Smart Device Integration, Onboard Communications System, Turbo Charged Engine, Aluminum Wheels READ MORE! KEY FEATURES INCLUDE Sunroof, Heated Driver Seat, Back-Up Camera, Turbocharged, Diesel, Premium Sound System, Satellite Radio, iPod/MP3 Input, Onboard Communications System, Aluminum Wheels, Smart Device Integration, Heated Seats. MP3 Player, Keyless Entry, Steering Wheel Controls, Child Safety Locks, Heated Mirrors. Volkswagen TDI w/Premium with Tornado Red exterior and Titan Black interior features a 4 Cylinder Engine with 140 HP at 4000 RPM*. VEHICLE REVIEWS The backseat is large enough for full-size adults to ride in comfort, which cannot be said of the Focus, for example, and the 15.5-cubic-foot trunk is one of the roomiest you'll find in this class. -Edmunds.com. Great Gas Mileage: 42 MPG Hwy. PURCHASE WITH CONFIDENCE CARFAX 1-Owner OUR OFFERINGS Lithia is one of America's largest automotive retailers. We are focused on providing customers with an honest and simpler buying and service experience. We are giving customers straightforward information so that they can make confident decisions. We believe that our local communities are our lifeblood. In addition to the employment opportunities we provide in each of our neighborhoods, we also provide contributions to charitable organizations that serve our families, friends, and customers. Plus tax, title, license and $180 dealer documentary service fee. Price contains all applicable dealer offers and non-limited factory offers. You may qualify for additional offers; see dealer for details. ONLY 34,183 Miles! EPA 29 MPG Hwy/22 MPG City! Platinum Gray Metallic exterior and Titan Black interior. Heated Seats, Onboard Communications System, Smart Device Integration, Aluminum Wheels, iPod/MP3 Input, CD Player CLICK ME! KEY FEATURES INCLUDE Heated Driver Seat, iPod/MP3 Input, CD Player, Onboard Communications System, Aluminum Wheels, Smart Device Integration, Heated Seats. MP3 Player, Keyless Entry, Steering Wheel Controls, Heated Mirrors, Electronic Stability Control. Volkswagen 2.5L with Platinum Gray Metallic exterior and Titan Black interior features a 5 Cylinder Engine with 170 HP at 5700 RPM*. EXPERTS ARE SAYING Within the classic yet tastefully updated shape, there is ample passenger space, sensible ergonomics, a decently sized cargo hold and a suspension that provides an agreeable balance between sporty handling and a comfortable ride. -Edmunds.com. Great Gas Mileage: 29 MPG Hwy. BUY FROM AN AWARD WINNING DEALER Lithia is one of America's largest automotive retailers. We are focused on providing customers with an honest and simpler buying and service experience. We are giving customers straightforward information so that they can make confident decisions. We believe that our local communities are our lifeblood. In addition to the employment opportunities we provide in each of our neighborhoods, we also provide contributions to charitable organizations that serve our families, friends, and customers. Plus tax, title, license and $180 dealer documentary service fee. Price contains all applicable dealer offers and non-limited factory offers. You may qualify for additional offers; see dealer for details. CARFAX 1-Owner, LOW MILES - 36,890! EPA 42 MPG Hwy/30 MPG City! TDI trim. Heated Seats, iPod/MP3 Input, Bluetooth, Multi-CD Changer, Turbo, Alloy Wheels, Satellite Radio, Diesel. SEE MORE! KEY FEATURES INCLUDE Heated Driver Seat, Turbocharged, Diesel, Satellite Radio, iPod/MP3 Input, Bluetooth, Multi-CD Changer, Aluminum Wheels, Heated Seats MP3 Player, Keyless Entry, Child Safety Locks, Steering Wheel Controls, Electronic Stability Control. EXPERTS RAVE The 2014 Golf's front seats are a highlight, delivering firm support along with driver and passenger height adjustability: a rarity in this class. Even with tall adults situated up front, there's room in back for a couple full-size passengers. -Edmunds.com. Great Gas Mileage: 42 MPG Hwy. PURCHASE WITH CONFIDENCE CARFAX 1-Owner WHO WE ARE Lithia is one of America's largest automotive retailers. We are focused on providing customers with an honest and simpler buying and service experience. We are giving customers straightforward information so that they can make confident decisions. We believe that our local communities are our lifeblood. In addition to the employment opportunities we provide in each of our neighborhoods, we also provide contributions to charitable organizations that serve our families, friends, and customers. Plus tax, title, license and $180 dealer documentary service fee. Price contains all applicable dealer offers and non-limited factory offers. You may qualify for additional offers; see dealer for details. EPA 38 MPG Hwy/25 MPG City! CARFAX 1-Owner, LOW MILES - 39,603! 1.8T S trim. Bluetooth, CD Player, Dual Zone A/C, iPod/MP3 Input, Aluminum Wheels, Turbo Charged Engine, Back-Up Camera. READ MORE! KEY FEATURES INCLUDE Back-Up Camera, Turbocharged, iPod/MP3 Input, Bluetooth, CD Player, Aluminum Wheels, Dual Zone A/C MP3 Player, Keyless Entry, Steering Wheel Controls, Child Safety Locks, Electronic Stability Control. EXPERTS RAVE Edmunds.com explains The front seats are nicely bolstered but are wide enough to not feel confining. In back, the Passat verges on full-size sedan dimensions, as even 6-footers will have room to stretch out their legs.. Great Gas Mileage: 38 MPG Hwy. VISIT US TODAY Lithia is one of America's largest automotive retailers. We are focused on providing customers with an honest and simpler buying and service experience. We are giving customers straightforward information so that they can make confident decisions. We believe that our local communities are our lifeblood. In addition to the employment opportunities we provide in each of our neighborhoods, we also provide contributions to charitable organizations that serve our families, friends, and customers. Plus tax, title, license and $180 dealer documentary service fee. Price contains all applicable dealer offers and non-limited factory offers. You may qualify for additional offers; see dealer for details. CARFAX 1-Owner, GREAT MILES 21,271! $200 below NADA Retail!, FUEL EFFICIENT 38 MPG Hwy/28 MPG City! Heated Seats, Sunroof, Onboard Communications System, CD Player, Smart Device Integration, Keyless Start, iPod/MP3 Input AND MORE! KEY FEATURES INCLUDE Sunroof, Heated Driver Seat, Back-Up Camera, Turbocharged, Satellite Radio, iPod/MP3 Input, CD Player, Onboard Communications System, Aluminum Wheels, Keyless Start, Smart Device Integration, Blind Spot Monitor, Cross-Traffic Alert, Heated Seats. MP3 Player, Keyless Entry, Steering Wheel Controls, Child Safety Locks, Heated Mirrors. OPTION PACKAGES CHROME EXHAUST TIPS (Set of 2). Volkswagen 1.4T SE with PLATINUM GRAY METALLIC exterior and BLACK LEATHERETTE interior features a 4 Cylinder Engine with 150 HP at 5000 RPM*. EXPERTS ARE SAYING KBB.com's review says If you want a sporty, European-derived compact sedan at a non-European price, the 2017 VW Jetta delivers the contemporary design and handling dynamics for which German cars are known.. Great Gas Mileage: 38 MPG Hwy. EXCELLENT VALUE This Jetta is priced $200 below NADA Retail. SHOP WITH CONFIDENCE CARFAX 1-Owner BUY FROM AN AWARD WINNING DEALER Lithia is one of America's largest automotive retailers. We are focused on providing customers with an honest and simpler buying and service experience. We are giving customers straightforward information so that they can make confident decisions. We believe that our local communities are our lifeblood. In addition to the employment opportunities we provide in each of our neighborhoods, we also provide contributions to charitable organizations that serve our families, friends, and customers. Plus tax, title, license and $180 dealer documentary service fee. Price contains all applicable dealer offers and non-limited factory offers. You may qualify for additional offers; see dealer for details. CARFAX 1-Owner, ONLY 3,375 Miles! JUST REPRICED FROM $18,438, FUEL EFFICIENT 33 MPG Hwy/24 MPG City! 1.8T S trim. iPod/MP3 Input, Bluetooth, CD Player, Alloy Wheels, Turbo, Back-Up Camera. SEE MORE! KEY FEATURES INCLUDE Back-Up Camera, Turbocharged, iPod/MP3 Input, Bluetooth, CD Player, Aluminum Wheels. Rear Spoiler, MP3 Player, Keyless Entry, Steering Wheel Controls, Heated Mirrors. Volkswagen 1.8T S with DEEP BLACK PEARL EFFECT exterior and TITAN BLACK CLOTH interior features a 4 Cylinder Engine with 170 HP at 4800 RPM*. VEHICLE REVIEWS Edmunds.com's review says Acceleration is good whether you're pulling away from a stoplight or looking to overtake a semi on the freeway.. Great Gas Mileage: 33 MPG Hwy. A GREAT TIME TO BUY Was $18,438. BUY WITH CONFIDENCE CARFAX 1-Owner WHO WE ARE Lithia is one of America's largest automotive retailers. We are focused on providing customers with an honest and simpler buying and service experience. We are giving customers straightforward information so that they can make confident decisions. We believe that our local communities are our lifeblood. In addition to the employment opportunities we provide in each of our neighborhoods, we also provide contributions to charitable organizations that serve our families, friends, and customers. Plus tax, title, license and $180 dealer documentary service fee. Price contains all applicable dealer offers and non-limited factory offers. You may qualify for additional offers; see dealer for details. CARFAX 1-Owner, LOW MILES - 4,687! 1.8T S trim. FUEL EFFICIENT 33 MPG Hwy/24 MPG City! iPod/MP3 Input, Bluetooth, CD Player, Back-Up Camera, ROADSIDE ASSISTANCE KIT, Aluminum Wheels, Turbo Charged Engine. SEE MORE! KEY FEATURES INCLUDE Back-Up Camera, Turbocharged, iPod/MP3 Input, Bluetooth, CD Player, Aluminum Wheels. Rear Spoiler, MP3 Player, Keyless Entry, Steering Wheel Controls, Heated Mirrors. OPTION PACKAGES ROADSIDE ASSISTANCE KIT booster cables, warning triangle, multi-tool, LED flashlight, work gloves, PVC tape, blanket, poncho, whistle, cable ties and bandages. Volkswagen 1.8T S with DEEP BLACK PEARL EFFECT exterior and TITAN BLACK CLOTH interior features a 4 Cylinder Engine with 170 HP at 4800 RPM*. EXPERTS RAVE Edmunds.com's review says Acceleration is good whether you're pulling away from a stoplight or looking to overtake a semi on the freeway.. Great Gas Mileage: 33 MPG Hwy. SHOP WITH CONFIDENCE CARFAX 1-Owner OUR OFFERINGS Lithia is one of America's largest automotive retailers. We are focused on providing customers with an honest and simpler buying and service experience. We are giving customers straightforward information so that they can make confident decisions. We believe that our local communities are our lifeblood. In addition to the employment opportunities we provide in each of our neighborhoods, we also provide contributions to charitable organizations that serve our families, friends, and customers. Plus tax, title, license and $180 dealer documentary service fee. Price contains all applicable dealer offers and non-limited factory offers. You may qualify for additional offers; see dealer for details. Plus tax, title, license and $180 dealer documentary service fee. Price plus any dealer installed accessories. We appreciate your interest in our inventory, and apologize we do not have model details displaying on the website at this time. Please fill the form out below and our team will quickly respond, or, please call us at (866) 963-2021 for more information.